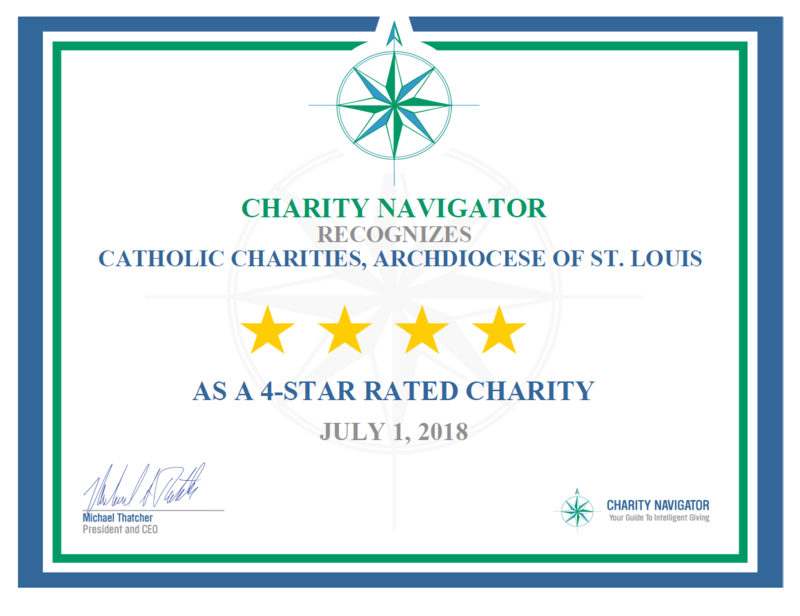 Catholic Charities of St. Louis this week received its third consecutive 4-star rating from Charity Navigator. Charity Navigator describes itself as the nation’s largest, most-utilized independent charity evaluator. Its 4-star rating is the highest level awarded, reserved for charities that best demonstrate strong financial health and commitment to accountability, transparency and concrete results. Catholic Charities of St. Louis is among the fewer than 25% of organizations evaluated by Charity Navigator that have received three or more consecutive 4-star evaluations.